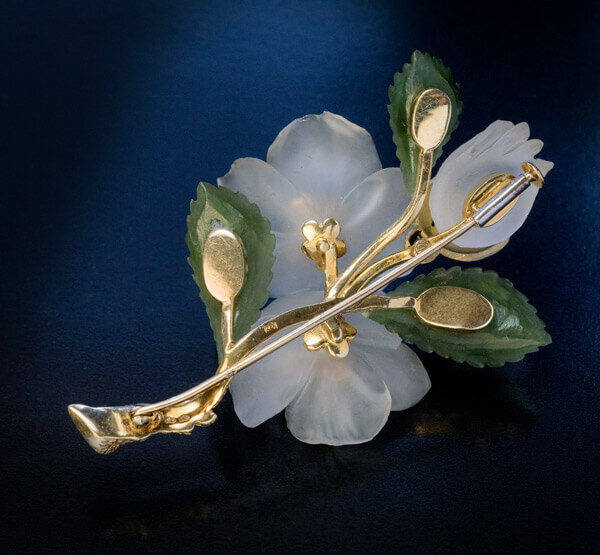 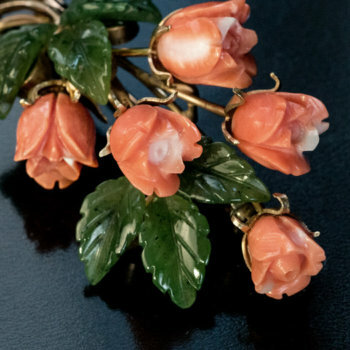 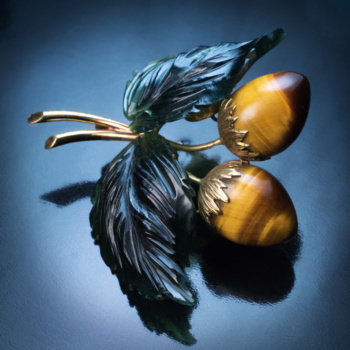 This large realistically modelled 3 – dimensional yellow 14K gold, hand carved nephrite jade and frosted rock crystal brooch is designed as a spray of wild roses. 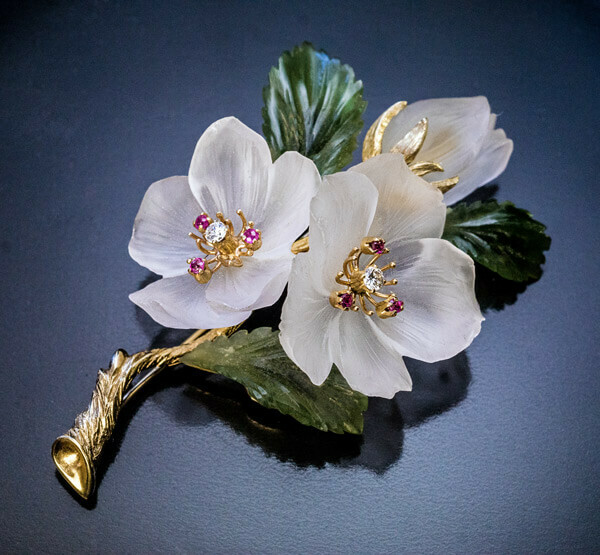 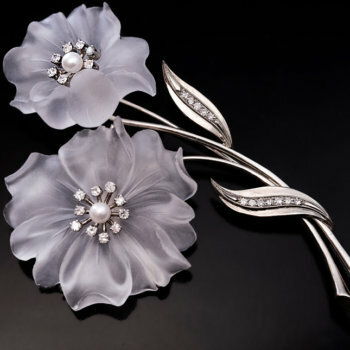 The flower heads are embellished with diamonds and rubies. 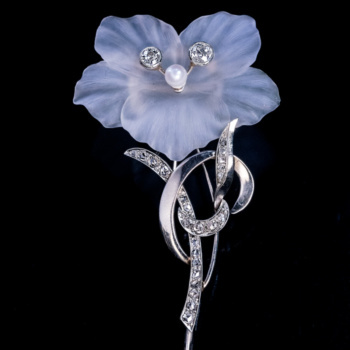 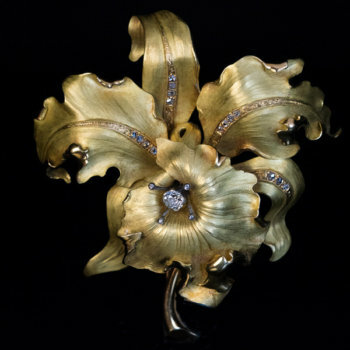 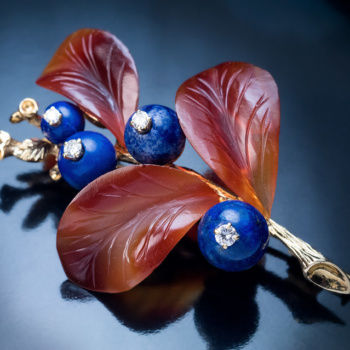 The brooch is marked on stem with Austrian horse head gold assay mark and 585 gold standard (14K).